Vijay Sethupathi, Bobby Simha and SJ Suryah playing lead roles in he upcoming film titled Iraivi is in its last stages of production works happening in rural villages of Chennai. Close sources of the film unit reveals that entire shoot of Iraivi will come to end by the last week of September. This movie brings up a social message about women in the society. Anjali and Kamalinee Mukherjee are playing female lead characters in Iraivi film. Sivakumar Vijayan is the cinematographer while tunes are being provided by Santhosh Narayanan and Karthik Subbaraj is the director. CV Kumar is producing Iraivi film under Thirukumaran Entertainment banner. Write & Share about "Iraivi to finish its shoot by end of September ! 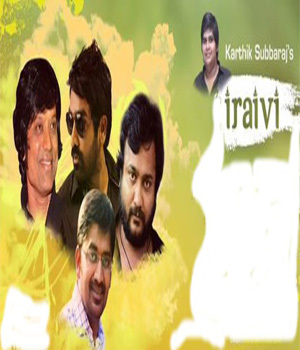 | Iraivi Tamil Movie News | Cinema Profile" !